When it comes to subsurface investigation, all contractors must be aware of any existing underground utilities. Your Geoprobe project can quickly expand into a utility investigation and location project as well. Rather than coordinate with multiple subcontractors, TREC has acquired the equipment and training needed to perform these tasks. TREC also has air knifing and vacuum excavation capabilities. Through the use of compressed air and a soil vacuum unit, TREC can expose buried utilities without the use of heavy machinery. 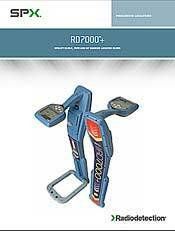 The SPX™ Model RD7000™+ precision locator is a radio detection unit that delivers fast, accurate, repeatable location information of all utilities. It’s specs are linked here. 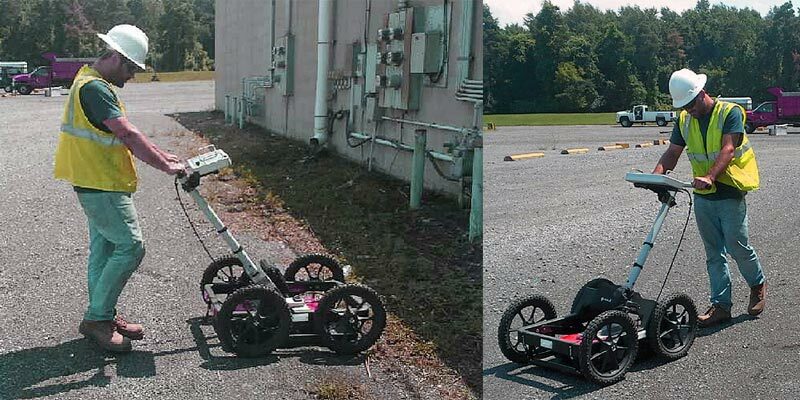 The Malå Easy Locator EL-HDR-Solutions is a Ground Penetrating Radar (GPR) unit which delivers exceptional utility locating information. 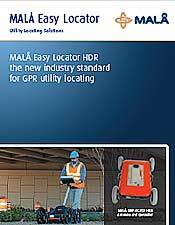 The Malå Easy Locator HDR spec sheet is linked here.